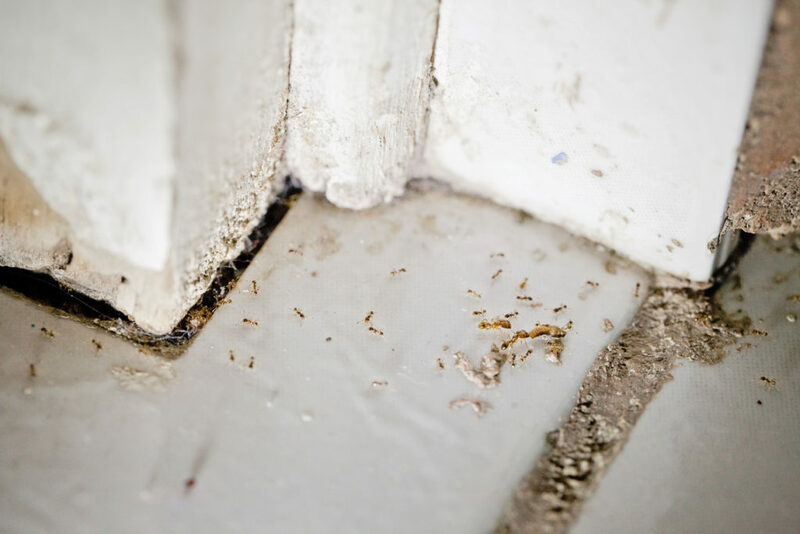 While it may sound surprising, it’s not uncommon to have bugs or other pests burrowing in your floors. Because many floor surfaces are porous, it’s easy for small insects to hide in the pores, breed and expand—and by the time you notice it could be a costly fix. Think you might have a pest problem in your floors? Check for these tell-tale signs. Some common pests including beetles dig small holes in the surface of a floor. These are usually no bigger than 1/16”, so look very carefully. Can’t tell if small holes are new or part of the wood or flooring material? Mark holes in a small area with a grease pencil, then check back to see if any new spots appear. If they do, you could have an infestation. Many bugs and pests tend to gravitate towards window panes and framing, base boards and door frames. Check out those areas with a magnifying glass or flashlight. See something? Try and spot the trail from that space back to your floors. Grab some bug traps from a big box, hardware or outdoor store and lay them in visible areas throughout your space. If you have bugs in your floors, they’ll quickly begin emerging thanks to the food attractant in these traps. It’s a quick way to not only see if you have an infestation but begin exterminating bugs on your own—the traps contain toxic materials that bugs bring back into the floors, feeding (and destroying) other bugs. While a few traps may not do the trick entirely, they do provide a good way to check for major issues. This is simple but, often, can be difficult since bugs are small and, in some cases, tend to emerge at night. Many bugs commonly found in floors tend to burrow into the small holes or crevices and lay eggs. When new bugs hatch, they then emerge from the holes. If you spot a bug coming up from the floor, chances are there are more where that came from. Contact an exterminator ASAP. The alternative? Everlast® Epoxy flooring is non-porous keeping bugs out. And, with an EPA-registered anti-microbial additive, Everlast floors restrict the growth of microorganisms, bacteria and fungus—always a plus. 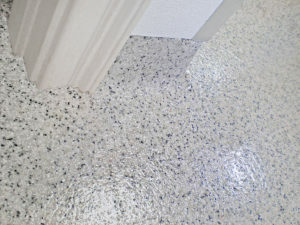 Click here for more information on Everlast floors and how our custom solutions keep pests out.